The Funeral is one of those songs that has always been an all-time favorite. Since hearing it the first time, I was a goner for this song. The guitar, the ooooOOOoooOOO’s, the lyrics, all conspired to make me fall deeply in love. And here’s the twist for today’s post! Not only am I sharing the original song, but in September there was a remix released that just blew. my. mind. It’s SO good. And I’m not usually one for remixes, but this one is perfect. Also! 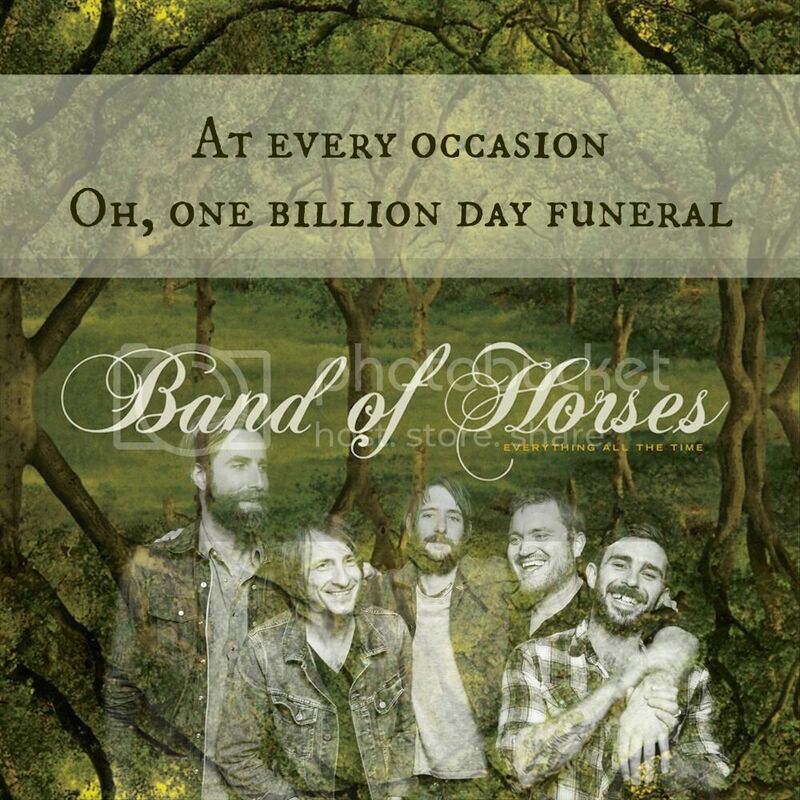 Band of horses is one of those bands I’ve yet to see live but I’m hoping that is fixed next year with the release of their new album, which is slated for early Spring release. I’m dying for it! Anyway, let me know what you guys think of both or either of these! Ohh, I love this song! I heard it a few years ago on an episode of How I Met Your Mother, and fell in love with it. The build-up is just AMAZING.